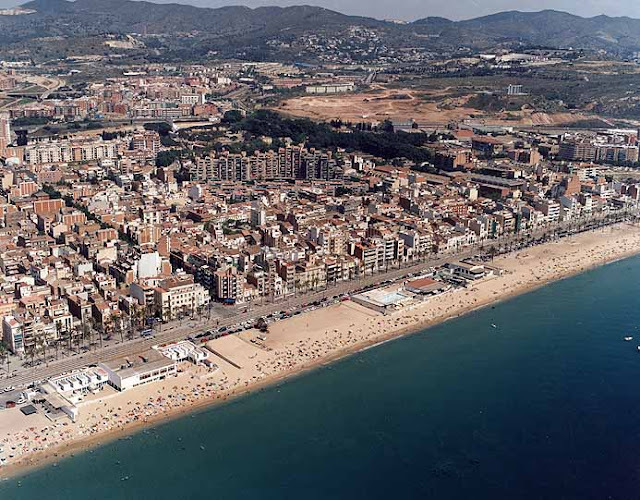 The city of Badalona, ​​less than 9km from Barcelona, ​​is the third largest city of Catalonia. With a population which reached nearly quarter of a million inhabitants, today is less than 220,000, also had one of the most advanced youth policies and committed throughout Catalonia. Today there is hardly anything. With the decisions of the new councilor of Popular Party, It has been produced a dismantling of youth policy until it remain institutionally diluted. A model that has been a reference for many cities in the metropolitan area of Barcelona, ​​browsed by politicians from different parts of Spain, and even visited and studied by experts from different parts of Europe. Today is a model that defends civil society and claims against the Municipal accolade. In a time when the EU states have youth among their priorities in areas such as creating jobs, training and non-formal education, I will try to explain the keys to this retreat and its consequences, who have turned back to Badalona in an exemplary practices in youth policies, but in this case of malpractice. - building institutions as structuring of neighborhoods and therefore of the city, support to the youth potential and to the youth concerns in areas such as culture, sport, and social action. This plan of action is called under the umbrella of non-formal education and leading a process of partnership with formal education. The pivot of this action was a network of six youth centers, located in different neighborhoods of the city, to try to reach as many young people as possible, and share a common project called Vadajoves (a new metaphor indicating that this was about young people). 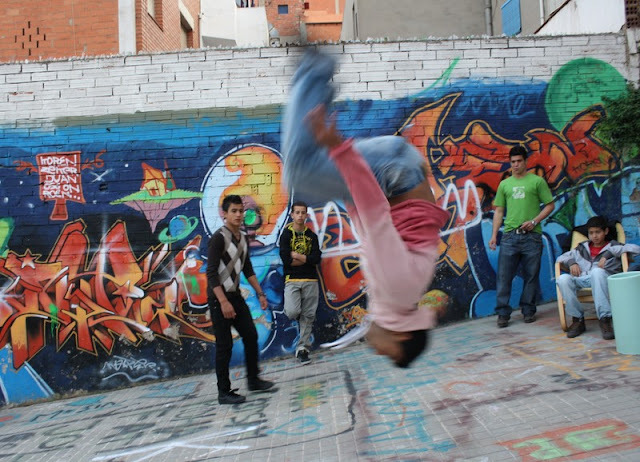 The program had a clear sensitivity to the most popular neighborhoods of the city. 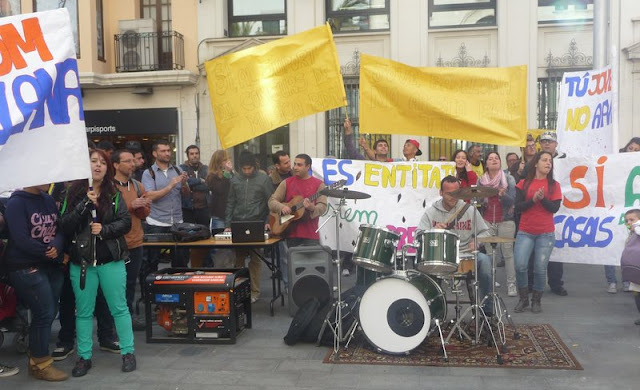 The success of this action was set because the administration spent months discussing the structure, content, and methodology with youth organizations of the moment, until reach a broad consensus on how to start this new phase, where it was recognized that young people and their organizations had much to say. Complementing this epicenter of Vadejoves nerve, and with the complicity of civil society entities, the City hall deployed other major lines in its youth policy, complementary and gravitational to youth centers, as they were: the creation of youth information points in secondary schools, night study rooms in public libraries, and access to grants for specific programs or annual course. In addition, It was encourage the transversal work with different areas, as economic and employment promotion, culture, education and sports. It was articulated a youth policy where beneficiaries were young and the city, with the horizontally involvement and responsibility of youth associations and public administration, but with a recognition of the responsibility of subsidiarity in this process by the municipality. Articulate this turning point in youth policy took several challenges, youth associations had to stop thinking in a territorial way and do it in a key of the city, which was not easy by social dislocation that the city suffered then. They also had to grow up as organizations and improve their efficiency and effectiveness in its scope, not only in direct intervention- the non-formal education- but also in ways unknown for them, as organizational management. At the same way It was not easy for the municipality, had to break old stereotypes about young people - apathy, anti-municipals, lack of maturity- but more important thing was get to see the associations as a goal in themselves, and not as an instrument of party politics. In this process was determinant the validity of the municipal technical who led the proposal and political who took the decision. Although the challenge was promising and generated many expectations, the road was not easy and nor without risk, because social progress is never easy. Finally the determination that formed the foundations and the reasons for the proposal lasted beyond the problems and crises triggered. In this way, Vadejoves became the banner of the youth policy of Badalona. At that time politicians of youth, were sharing work table with young people and entities, for the first time in the social history of Badalona there were a youth policy veracious and at street, beyond miss wet T-shirt. In the municipal legislature before the current, crisis appeared. As in many other sectors also raged in youth policies. At the same time there was a change of technical and political sensitivity about the ancestors. It was not an abandonment or guideline change, but enough to be noticed, indicating the technical training and the conviction of political discourse.Even in this condition, Vadejoves continued, with fewer resources and support, but remained. It was the first test for the determination of the entities that were behind. With the advent of the Popular Party, a year and half ago, alone in the government of Badalona, ​​the situation of youth policy has changed to the opposite extreme. Youth policy is lack of direction and absolute neglect to starvation. Here there are articulated mainly three factors, firstly the lack of dedication, motivation and interest in youth issues of the delegate councilor, and as shown by its lack of dialogue with the organizations working with and for young people; together with the lack of experience and training to social issues. Second, the political indifference of the rest of the session, even though voices of his party colleagues have tried to correct his course, but they have not been able to get it. They have chosen to ignore months of street demonstrations, two motions to youth policies, an extraordinary plenary session and widespread discontent in parts of the city as entities, educational community, neighbors etc. Enough for the youth councilor resigns. The third factor, poor preparation of the technical direction of the area and its attitude of opposition to the social tissue instead of seeking complicity.A technical direction of those that are achieved in a meteoric way and not for merit of expertise, service, and qualification. 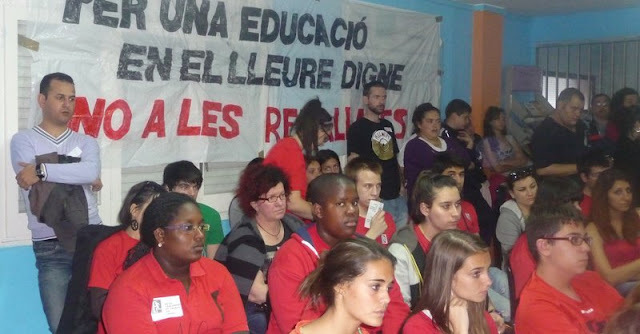 In this way, it has dismantled the youth policy of Badalona, object before of our pride. Closings study rooms and access to new technologies, reducing grants to cultural projects as the “music competition”, boost artistic activities in general. Abandoning support for the activities on free time, and socio-sportive.Disappearance of information points and youth clubs in secondary schools. And now as the culmination of the work, the closure of Vadejoves program, with the consequent closing of the youth centers' program. The consequences of closing youth policy are being multiple, more youngsters in the street at the foot of the multinational of drug, increasing the risk of social exclusion, lack of recollection and places to meet young people, youth neglect failing in the school system, lack of support for those who are seeking a job, difficulties of cooperation between formal and non-formal education, and it would be a long etcetera, etcetera. All of this especially in neighborhoods with school failure and youth unemployment rate larger of EU. As you can see, we have gone from having a flagship youth policy, to don't have anything. 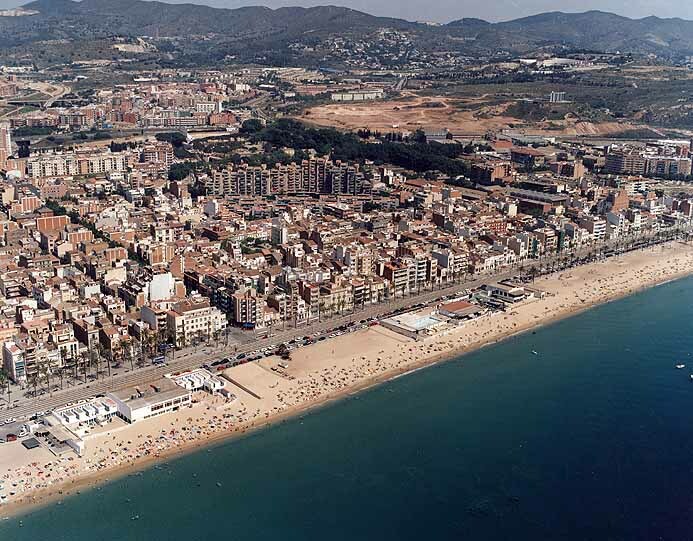 So when someone asks and says, “How are you in Badalona?”, we respond: bereaved, baffled, dismayed, powerless, to the irresponsibility of a minority ruling council, who do not hear, do not listen, and who will not see. However, thanks to the new social movements we are hopeful because there is no hurt that lasts a hundred years, to get things back to how they were once in Badalona.